Estimates of the number of ETS-related deaths from heart disease alone have ranged from 37,000 to 62,000 per year. Children's lungs are still developing, and they are therefore considered especially sensitive to environmental tobacco smoke. According to one estimate by the state of California, ETS causes 2,700 cases per year of sudden infant death syndrome in the United States. The U.S. Environmental Protection Agency's risk assessment of environmental tobacco smoke was published in 1993. It estimated that secondhand smoke causes some 150,000 to 300,000 cases per year of lower respiratory tract infections such as bronchitis and pneumonia in children up to 18 months of age, resulting in 7,500 to 15,000 hospitalizations, plus somewhere between 400,000 and a million cases of asthma. The EPA also decided, for the first time, that secondhand smoke should be labeled a "Class A carcinogen"--a government term which means that ETS is not merely suspected but known to cause lung cancer. The impact of secondhand smoke is small compared to the effect of direct smoking, but EPA estimated that some 3,000 lung cancer deaths per year among U.S. nonsmokers should be attributed to secondhand cigarette smoke. Tobacco's defenders realized that challenging the entire body of evidence in EPA's risk assessment would be impossible. 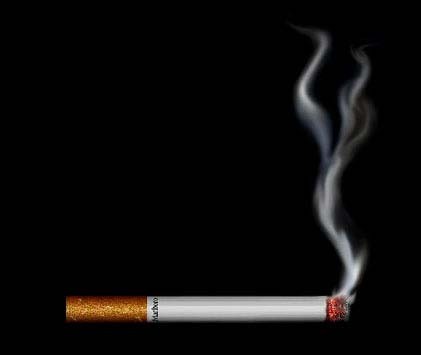 Its conclusion that secondhand smoke causes respiratory effects in children was widely shared and virtually undisputed, so industry's response to that part of the risk assessment was simply to ignore it. Secondhand smoke contains essentially all of the same cancer-causing and toxic agents that people inhale when they smoke directly. Tests of humans exposed to secondhand smoke show that their bodies absorb and metabolize significant amounts of these toxins. Exposure to secondhand smoke has been shown to cause cancer in laboratory test animals, which suggests strongly that it does the same thing to humans. EPA reviewed analyses of some 30 epidemiological studies from eight different countries and found that women who never smoked themselves but were exposed to their husband's smoke have a higher rate of lung cancer than women married to nonsmokers.